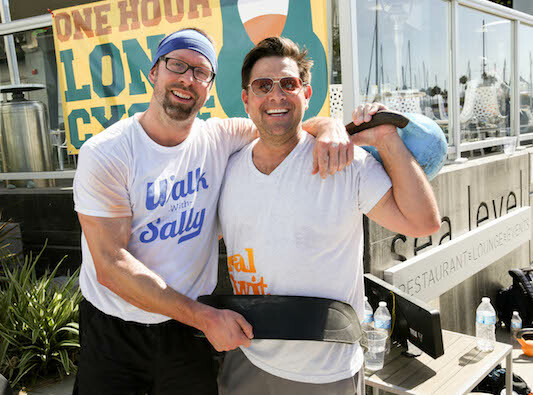 Walk With Sally was honored to be chosen by Jason Dolby as the beneficiary for his One Hour Long Cycle for 2017. The One Hour Long Cycle is a kettlebell lifting fundraiser where participants fundraise leading up to the event and then challenged to complete continuous “long cycle” kettlebell movements for one hour. The 1HLC, in it’s 8th year, includes participants from all over the United States, Canada, Germany and even Malaysia! Nearly 7 years ago, Jason Dolby wanted to do something new to celebrate his birthday. Inspired by other kettlebell lifters, he wanted to do a “One Hour Long Cycle.” That said, he knew that he needed this to be for a higher purpose. He wanted to turn this challenge into something that could really make a difference for those in need. 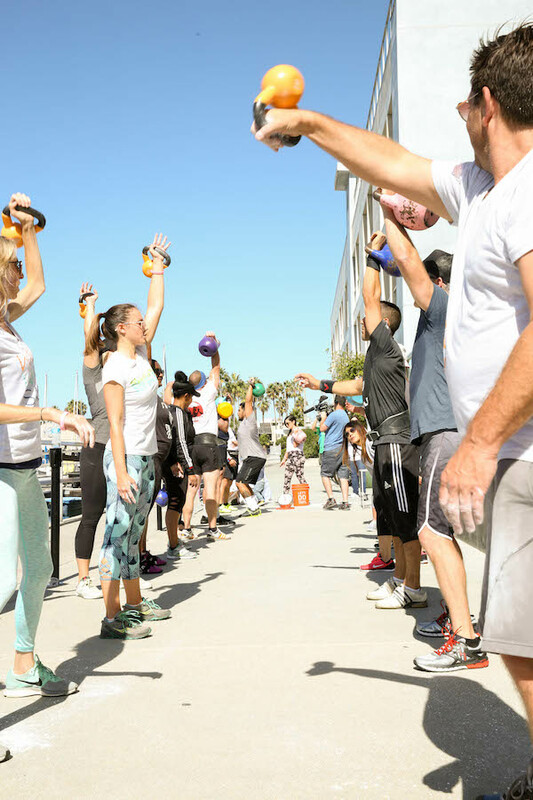 In the first year, Jason and 20 friends lifted and fundraised for Children’s Hospital Los Angeles and he hasn’t put his kettlebell down since. Fast forward to 2017, once Jason heard about Walk With Sally and the efforts to support children who have been impacted by cancer, he knew this would be the organization to support! On Saturday, October 21st all participants started the One Hour Long Cycle at the exact same time, 11a.m. PT. More than 20 people from Jason’s hometown, Manhattan Beach, joined Walk With Sally at our South Bay host location, Shade Hotel Redondo Beach. With more than 30 teams signed up to participate, this fundraiser was able to bring in $30,000 which is the equivalent of supporting 6 new friendships throughout their critical first year! If you are interested in supporting the One Hour Long Cycle or participating in the future, please visit the One Hour Long Cycle campaign page here. This entry was posted in Events, Fundraising and tagged 1HLC, 2017, event, Fitness, Fundraiser, One Hour Long CYcle, Shade.